RETURNING THREE PENNIES FOR SUBSIDIES, THE GOVERNMENT WILL COMPEMSATE IN TARIFFS ON HRIVNIA, - OLEKSANDR KLYMENKO ⋆ News ⋆ Official website for Oleksandr Klymenko. Monetization of subsidies, which was conceived by Prime Minister Vladimir Groysman – it is an attempt to distract Ukrainians from a wide range of antisocial decisions of the government in utilities field. It was stated by Oleksandr Klymenko, the leader of the “Uspishna Kraina” party. The politician notes that return of unfulfilled subsidies will require up to UAH 1 billion. However, in fact, there is no such money in the budget. Moreover, the debt of the budget to utility services is amounted to UAH 30 billion by early April 2017. At the same time, scheme for the return of subsidies is extremely complicated. Ukrainians will be forced to collate their savings with gas or electricity suppliers in order to get the promised UAH 700. In particular, it is necessary to open bank account and to submit application to local department of social protection from July 1 until September 1. Thus, citizens will be standing in lines in city gas departments and other institutions proving their saved 100 cubic meters of gas. After that, they will have to wait for return of the promised funds. Oleksandr Klymenko is confident that nowadays, the scheme of monetization of subsidies is promoted by the power in order to prevent future protest wave. The politician recalls that in 2017, Ukrainians are expected for reduction in number of subsidies, decrease in social norms for gas consumption and further increase in tariffs. «As it was stated: they will give three times a penny, and then they will take away the hryvnia», – the politician summed up. According to Klymenko, it is possible to improve the situation in utilities via reducing tariffs, increasing the income of Ukrainians and installing counters at the expense of utility providers. Commenting on the expediency of monetization of subsidies itself, the politician advocated for the option of monetization for all citizens (not for specific categories). Let us recall, in autumn 2016, the “Uspishna Kraina” party presented an initiation on cut of VAT on utilities from 20% to 5%. 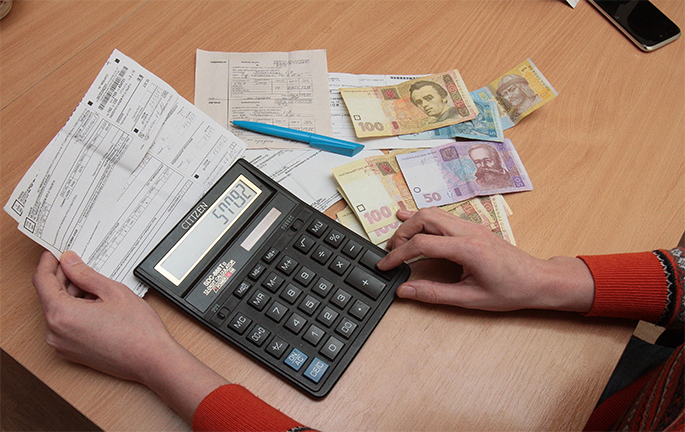 According to experts of the political force, it will allow Ukrainian families to save at least UAH 800 per month. The initiative was presented during the discussion of the Fair Tax Code, which was worked out by the “Uspishna Kraina” together with Ukrainian experts and entrepreneurs in a series of regional forums.